Bishop Hermann represents the Archbishop in overseeing the parishes in five deaneries: Northeast St. Louis County, Northwest St. Louis County, Festus, St. Charles County, and Washington. His responsibilities also include Catholic education, stewardship and development, and several other agencies and ministries. After rediscovering his Catholic roots, Jesse studied and prayed his way back to a fervent ongoing practice of the Catholic Faith. Through his experiences with non-Catholics and fallen-away Catholics alike, Jesse is well versed on all Catholic issues and topics and, as a bilingual speaker, specializes in evangelization, youth events, apologetics seminars, conferences of all sizes, and bible studies. Jesse holds a B.A. in Liberal Arts from Mount St Mary's College in Los Angeles, and he has a Masters Degree in Catholic Theology from Franciscan University of Steubenville in Ohio. As the proud parents of Paul, AnnMarie, and Joshua, Jesse and his wife, Anita, have been happily married for 25 years. 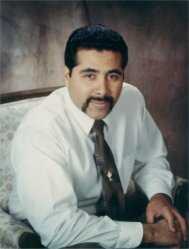 You may learn more about Jesse Romero at the www.jesseromero.com. 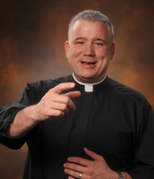 A gifted and captivating speaker, preacher, and retreat master, Fr. Larry Richards holds the answer to some of life's most profound questions. 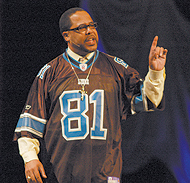 He speaks from experience as a pastor of an inner city parish, a high school chaplain, a counselor and evangelist. Fr. Larry Richards has directed hundreds of retreats, parish missions, and conferences for young and old alike. His inspirational talks and presentations, always authentic and enthusiastic, have changed the hearts, minds, and lives of millions of listeners worldwide. Father Larry Richards was born in Pittsburgh, Pennsylvania. After high school, he attended the college seminary at Gannon University and received his Bachelor of Science degree in Mental Health Counseling in 1983. Father Larry Richards continued his studies at the major seminary at St. Vincent in Latrobe, Pennsylvania and received his Masters of Divinity degree in 1987. He will soon conclude his studies at the University of Notre Dame and be awarded a Master of Arts degree in Liturgy. Fr. Larry Richards is the founder and president of The Reason for our Hope Foundation, a nonprofit organization dedicated to ‘spreading the Good News’ by educating others about Jesus Christ. For more information on the foundation, go to: www.TheReasonForOurHope.org. Fr. Larry Richards hosts a nightly radio show called Changed Forever with Father Larry Richards. It can be heard nationwide on Relevant Radio daily at 8 pm ET/ 7pm CT, Sunday at 7 am ET/ 6 am CT. For more information, or to listen on-line, go to: www.relevantradio.com. You may learn more about Fr. Larry Richards at www.thereasonforourhope.org. 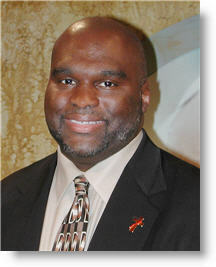 Deacon Harold Burke-Sivers is the Founder and Director of Aurem Cordis. Aurem Cordis is a Christian evangelization and apologetics organization dedicated to disseminating and promoting Catholic values, principles, and teaching in complete faithfulness and total submission to Holy Scripture, Sacred Tradition, and the Magisterium. The goal of this apostolate is to bring as many people as possible to a deeper love of Christ and the Gospel by sharing the truth of the Catholic faith in love. Deacon Harold has given lectures, presentations, and seminars at conferences and parishes both nationally and internationally. Topics have included Men's Spirituality, the Eucharist and Evangelization, the Meaning of the Mass, Keeping Our Youth Spiritually Alive, Putting Our Faith into Action, and many more. 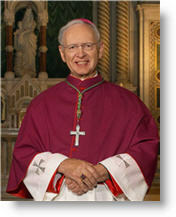 You may learn more about Deacon Harold at his website, www.auremcordis.com.